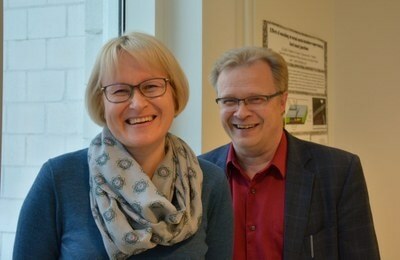 PRACE organization has been given 35 million CPU core hours for a collaborative project of Academy Professor Hannu Häkkinen and Professor Karoliina Honkala at the University of Jyväskylä’s Nanoscience Center. The project will take place over the next 12 months in the Barcelona Supercomputing Center and concentrates on large-scale density functional theory calculations and molecular dynamics simulations to explore chemical reactions catalyzed by atomically specific, ligand-stabilized metal nanoclusters. These cluster materials are evolving catalysts, for example, for hydrogenation reactions of organic molecules in solution-phase catalysis. Their atomic structures are recognized, which offers exclusive possibilities to compare the catalytic activity to atomically distinct reaction mechanisms. Partnership for Advanced Computing in Europe (PRACE) is a non-profit organization of 26 European member nations that encourages high-performance computing by awarding substantial computational resources to scientific projects based on yearly calls for proposals that undergo a peer-review assessment. This is already the fourth significant supercomputing grant that my group has received through competitive evaluation of the proposals in the PRACE organization since 2012. Professor Honkala and I look forward to combining our expertise on ligand-stabilized metal nanoclusters and computational catalysis, and to intensify collaborations to our partners doing experimental research on these nanocatalysts in China and in the Netherlands. The large-scale atomistic simulations in this project will also produce huge datasets encompassing structure-property correlations that will be used later in a parallel project aiming at using artificial intelligence to understand nanochemistry and catalytic reactions. Hannu Häkkinen, Professor, Nanoscience Center, University of Jyväskylä.